John Conyers, chairman of the House Judiciary Committee, has subpoenaed Karl Rove to testify about the Bush administration’s firing of United States attorneys. The subpoena could force an interesting constitutional fight since President Obama would now be in a position to waive executive privilege and Attorney General nominee Eric Holder could allow the matter to go to a grand jury. I discussed this issue last night on Countdown in this segment. It is conceivable that former President Bush could ask a court to uphold his prior claim of privilege. However, courts generally defer to the sitting president on question of privilege. The biggest change would be the lifting of Mukasey’s order blocking the submission of the case to a grand jury. The Congress had a strong case of criminal contempt against Bush officials. It could now conceivably go to a jury. 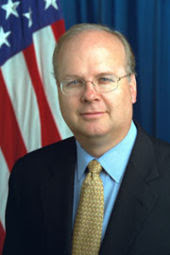 I would be surprised if Rove would risk such a trial in Washington.